Peppermint oil is well-known for relaxing the intestinal tract, which makes it highly effective in combating nausea, digestive problems, and heartburn. Its cooling properties help ease headaches and migraine pain. 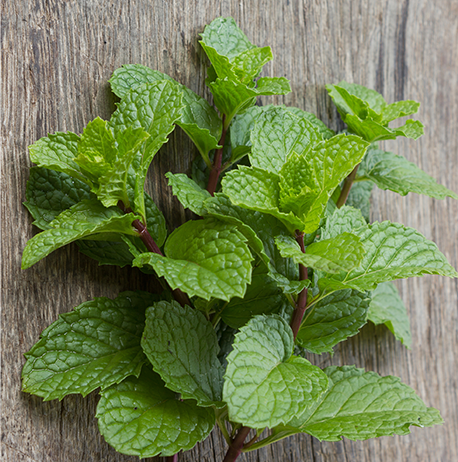 Peppermint has been well documented to have analgesic properties to help decongest and as an expectorant. Emotionally it awakes, refreshes and uplifts, stimulating the mind and increasing focus. Our Peppermint oil is sourced from an organic farmer in India, who steam distills the plant’s leaves in situ which ensures exceptional quality and vibrancy. *This environmentally friendly oil does not include a box. 100% natural essential oil of Peppermint.